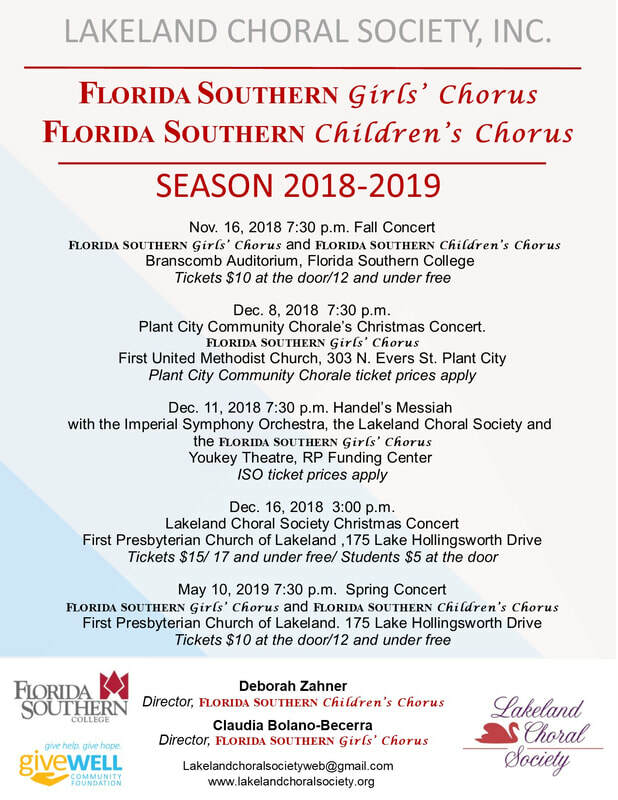 Misa Pequena by Francisco Nunez with orchestra and performance with Lakeland Choral Society, Branscomb Auditorium, 3:00pm. Tickets are $15.00 for adults and $5.00 for students over 18. Admission is free for anyone under 18. 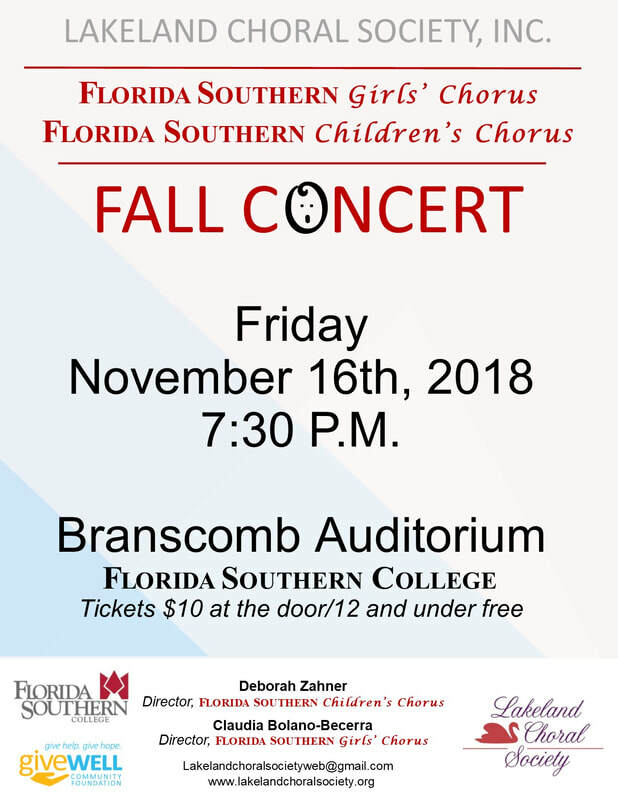 Fall Concert of the Children's Chorus and Girls' Choir, Branscomb Auditorium, 7:30pm, Tickets at the door. *A student group of Florida Dance Theatre will be joining the Girls' Choir for part of their performance.